What makes big, bad yakuza member Nitta scared? A little girl. To be fair, Hina isn’t just any little girl. She falls out of the sky in a giant, oval, egg-shaped object, landing squarely on Nitta’s head. At first just her face is visible through the object and Nitta chalks up the strangeness to having had too much alcohol. But then the face talks, asking for help getting out. And then out steps a middle-schooled age girl: Hina. Nitta tries to make her leave, but she won’t go. Furthermore, she can easily overpower him. 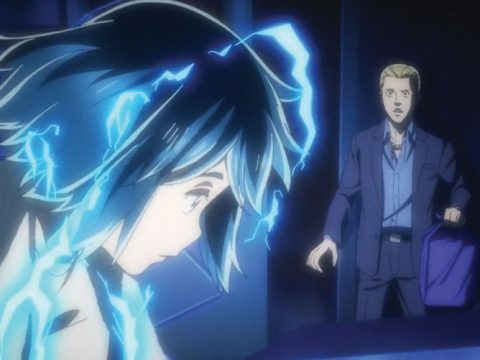 For whatever reason, she also has telekinetic powers, so if Nitta is bugging her, she can painfully twist his arm behind him or wreck his stuff, all without actually moving. Now Nitta is stuck, buying her food (she’s a foodie obsessed with salmon roe especially), getting her clothes and sending her off to school. He feels like a babysitter, and is especially ticked off when people think he’s her dad. But as time goes on, he starts to enjoy her company. For one thing, she can help him with his yakuza work — everything from clearing land to taking on the yakuza gang’s enemies. For womanizing, partying, crime-riddled Nitta, he’s found quite a companion who, even in all her innocence, is not against a little violence. When a hostage crisis happens at her school, she even takes care of it. Hina alludes to her old life, without saying much, and the first volume ends with more clues that her past is catching up with her. 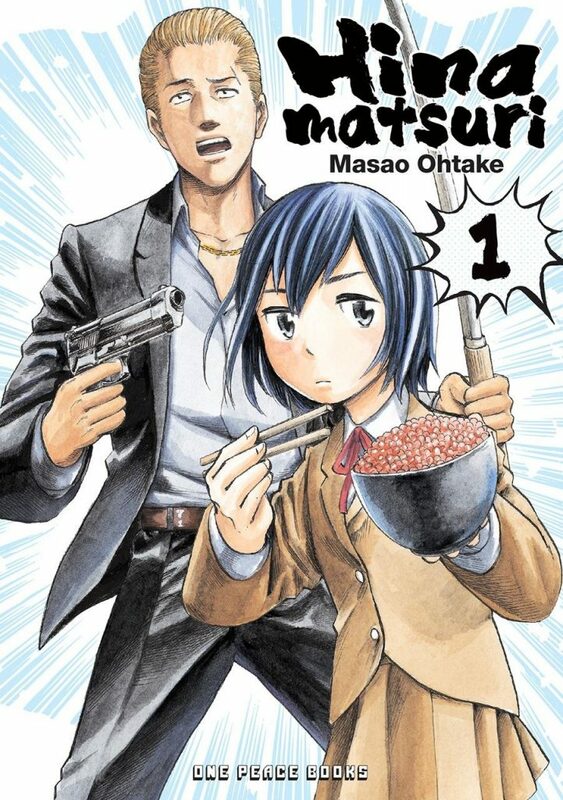 The first volume is mainly character-driven, with us getting to know Hina and Nitta’s personalities as they handle several situations that are amusing but not very drawn-out. So the promise of more back story is a plus: now that we’re getting to like the leads, we can see more of what’s going on with them and better understand all the mysteries surrounding Hina. Hinamatsuri is a charming, quirky story that has spawned thirteen manga volumes and an anime. The anime began coming out in spring of this year (simultaneously streaming through Crunchyroll) and FUNimation has the English dub available for streaming on its site. All this happened after Hinamatsuri started as a one-shot, proving that it has a strong following in Japan. That following is growing, so it’s great to see One Peace Books bring an English translation of it to America. Danica Davidson, along with Japanese mangaka Rena Saiya, is the author of Manga Art for Intermediates. In addition to showing how to draw manga character types in detail, the book describes how professional Japanese manga creators work, including common techniques and what drawing utensils they use.